One from the archives - Save Undershaw. 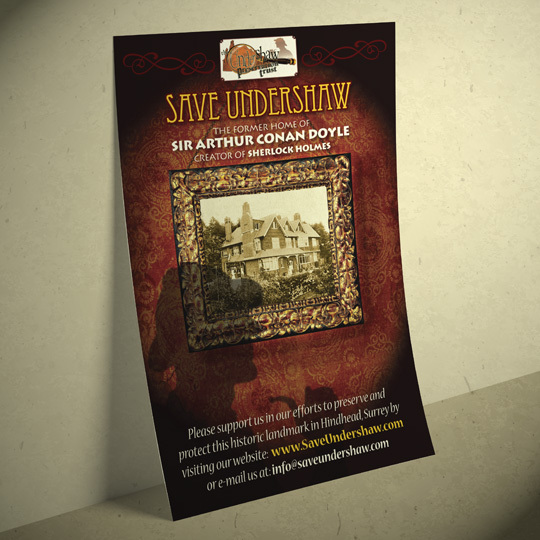 A charity campaign leaflet on behalf of the Undershaw Preservation Trust to save the former home of Sir Arthur Conan Doyle, creator, in case you haven't worked it out from the infamous silhouette with deerstalker hat and pipe, of Sherlock Holmes. A fine example of late Victorian architecture, it was built in 1897 in an era when few houses were actually designed by the occupier - what a clever sausage he was. In a tale no less intriguing than one of Holmes mysteries, the existing owners planned to divide the historic home into apartments and build some modern dwellings next door, cackling as they put the plans forth to the planning committee. If it wasn't for some meddling Holmes fans who set about campaigning to save the residence and restore it, they would of got away with it too. Thankfully the campaign was largely successful with the building presently being converted into a school building, keeping it's original charms and historical importance intact. 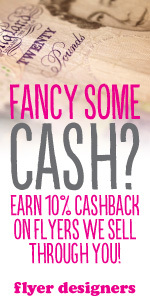 It's heartening to feel our A5 campaign leaflet played a small part in the success of the campaign.